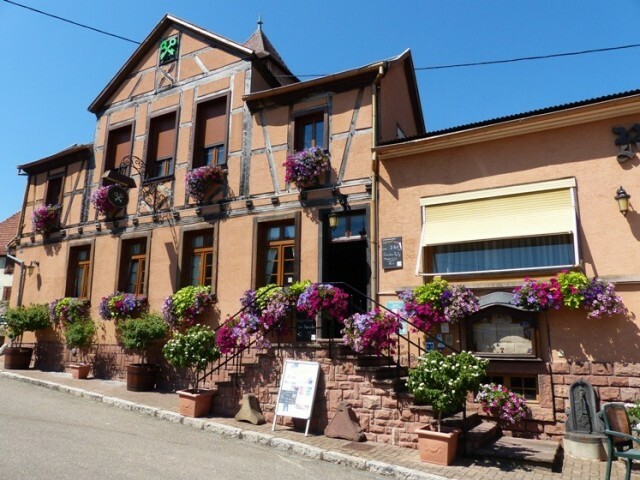 On the wineroad of Alsace in the medieval village of Dambach La Ville, Angele and ClaudeMersiol welcome you in the typical, warm and friendly “winstub”. Indulge inour restaurant with terrace and garden to enjoy our dishes accompanied by ourwines of Alsace. Discover traditional, fine and tasty meals. Forreceptions and family celebrations we welcome you into the great room.To prolong the pleasure, why not take a few bottles of our Alsace wine?